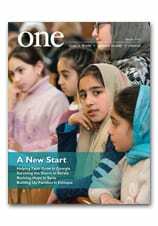 In the Spring edition of ONE, journalist Sarah Topol looks at how some of the men staying behind in Egypt are hanging on and seeking support, both economic and spiritual. Vendors at Egypt’s pyramids who are desperate to make money in a deepening economic crisis are using aggressive and even violent means to get tourists to give them some business, frequenters of the tourist spot say. The U.S. Embassy issued a warning about increasing incidents at or near the famous pyramids at Giza about a dozen miles from downtown Cairo. Most of the incidents are due to overly aggressive vendors who in some cases come close to criminal conduct, the embassy says. “U.S. citizens should elevate their situational awareness when traveling to the pyramids, avoid any late evening or night travel, utilize a recommended or trusted guide, and closely guard valuables,” according to a security message on the embassy’s website last week.